Join the discussion of things close to our hearts. Let’s build a support system for woman to come together to share and lift up one another. Let this mid-morning tea be a scared event where we open our minds and hearts to others, to share our light, wisdom and silliness. Our most common communication blunder is not that we’re insensitive, or forceful, or misdirected. It’s that we fail to communicate at all. We swallow. We hedge. We delay. We punish with silence. We freeze with fear. We open our mind to assumptions but keep our mouths shut. We lock down. We just don’t say anything. Most often, even weak or wobbly communication is far better than shutting down completely. Sincerity and courage go a lot further than “polished” communication skills any day. Tea will be on, bring a mug and a small treat to share if you’d like. Please bring anything that will make you comfortable; yoga mat, props, blankets, we will be sitting on the floor. A massive human skull watching over us. Happy Halloween! I love me some brain games. Here’s the new app I’m trying. Russell Brand: in the past I thought he was hard to listen to, today…I’m listening. Mark your calendar: Victoria Yoga Conference Feb 5-7, 2016 Do we want to go together? Everything we think we know about addition is wrong. More of this happening, please. My go to tea these days. 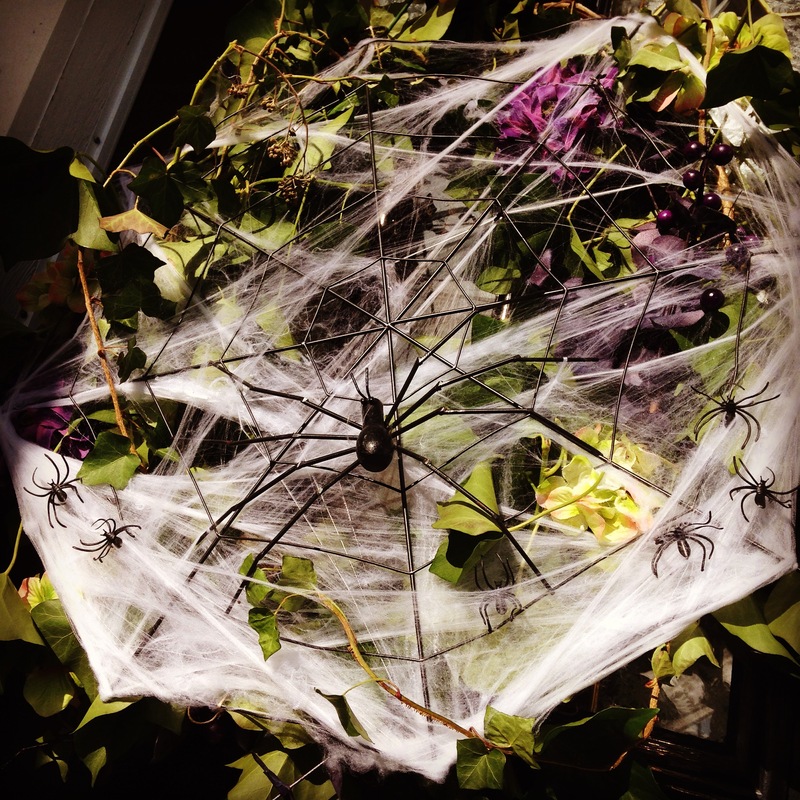 Photo: Our front door’s halloween costume last year. This weekend’s post is coming to you from my husband Tyson. Sharing a few of his favourite things from this week. • Welcome to the Soul Arch Yoga retreat in Costa Rica. Keely and I did this last spring and it was a bucket list experience. Highly recommended for spring 2016. BTW, it takes place on the Nicoya Peninsula, which is a surfer’s paradise. Pura Vida! Keely: These monkeys were having a patio party while we were out for the day. • Monday brought the liberating news that the Emperor Harper-tine era of ruining our country is over. Ding dong, the witch is dead. A good start for sure, here’s hoping they follow through. • Monday was a pretty decent night: The official Star Wars trailer was released, as well. Can’t contain my inner child excitement. • Back to the Future! Wednesday was 10/21/15, the date Marty McFly went to in the future with Doc. Well, the future is now, make your own. • CBC’s satire radio show This is That is brilliantly funny. If you haven’t caught their show, usually Thursday at 11:30am, here’s a link to their page with all past shows and segments. • Finally, a nod to the late, great Carl Sagan. My hero, so named our Lab Retriever after him. Taken from his book ‘Pale Blue Dot’, an important message we all should hear. Photo: From our trip to Costa Rica. 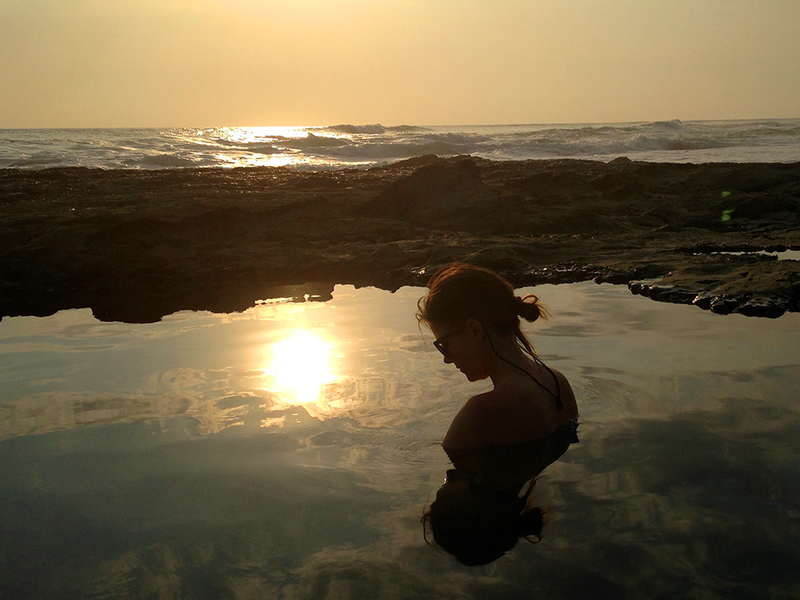 There’s awesome tidal pools, the size of swimming pools to soak in. My internet perusing time has been cut back drastically over the last two weeks. Even though it’s been refreshing to be away from the internet, I haven’t had much of a chance to collect content for this post. This one is short but sweet, it may inspire you to step away from your computer and into the kitchen or in front of Netflex. Both served me well this past week. 23 Things I wish I’d known at 23. I like them all. How 200 people fit on a street. These were my go to snack this week. Yum. And this was my lunch. When the seasons change so does my skin. A great time to try a new regimen that fits with your sign. I will not be jealous of another great instagram pic, here’s why. More people like this please. 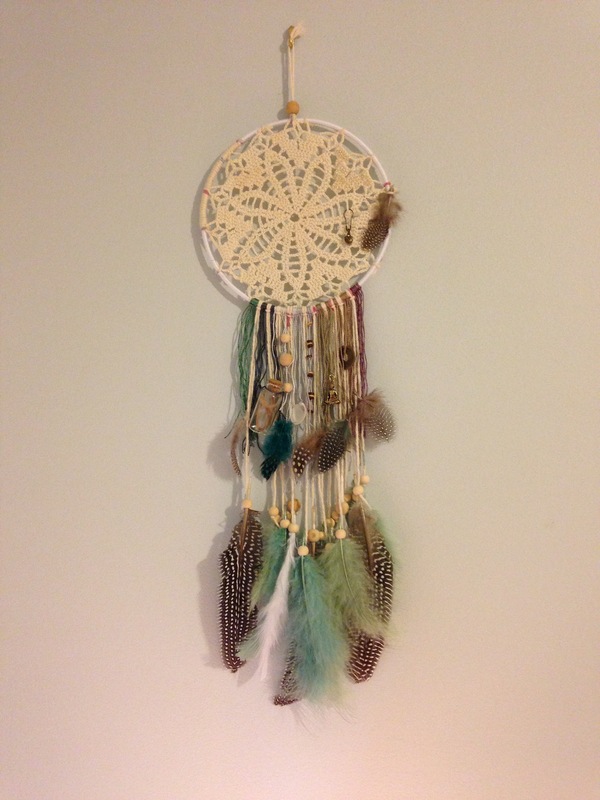 Dream Catcher by me. Wishing you freedom and joy. Happy weekend. What does these days hold for you? They hold ease for me. I’ve recently started a new job that challenges a part of my brain that I haven’t been using. I’m helping in the office of our local High School. I feel honoured to be a part of a team that keeps the machine running. Our youth is important and I’m happy to support the teachers and staff in creating the next generation of passionate hearts. With this change in my days I feel flighty, over stimulated and my throat is sore from all the talking. My free time is full of meditation, yoga, cuddles and lots of fluids. Finding balance is the game I thrive to play. My heart is open and everyday brings something new, I feel so blessed. This weeks’ energy was supplied by Hemp Hearts. Try these if you can get them. They are from Southern Alberta (my home land) and the best I’ve tasted. The meditation app I live by. How’s your punctuation? Found out here. This is our bike park, looks fun right?! Every wardrobe needs a staple cardi, this is mine. Happy weekend. What’s up for you this weekend? My days are becoming fuller and need to have my meal plan organized. I’ll be looking over my Pins and prepping for this week. Here’s my Food Bank board full of good looking (maybe not always healthy healthy) recipes and my energy snack board, Body Movin’ Food. If you stopped in last weekend, I’m sorry I was M.I.A. Big thanks for coming back. Can I tempt you with a little of this M.I.A. I’m feeling there might be a Shibori party in my near future. Change of season. Even though this is a US Fall Foliage Prediction Map it’s cool to know the cycle of a leaf’s life. After throwing out his back, Ontario man is taking ‘yoga’ to court. .Get ready to laugh. I have a thing for the clutch, like this one. Fresh air indoors, the best houseplants. Photo: That’s Sagan, member of #teamfandrick.